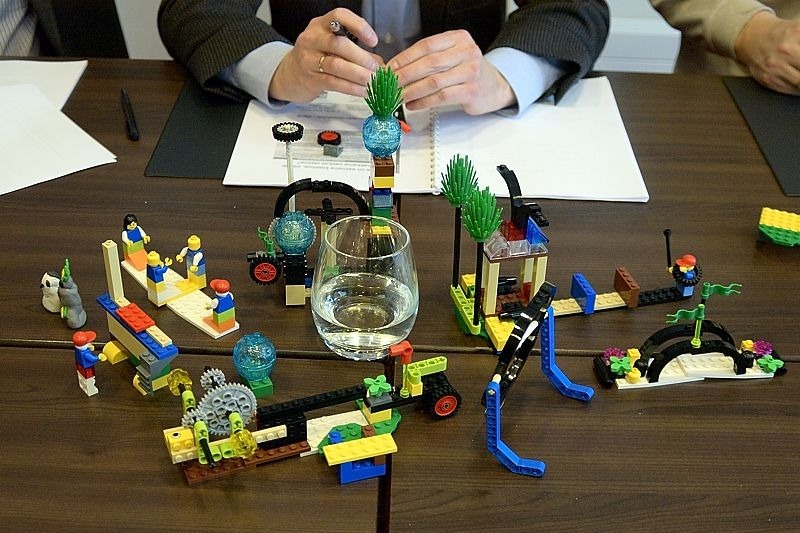 Use LEGO bricks and to build themselves and describe their background. Eisenhardt & Sull (2001) Strategy as Simple Rules. Harvard Business Review. Kaplan & Norton (1996) Using the Balanced Scorecard as a Strategic Management System. Harvard Business Review. Kaplan & Norton (2000) Having Trouble with Your Strategy? Then Map it! Harvard Business Review. 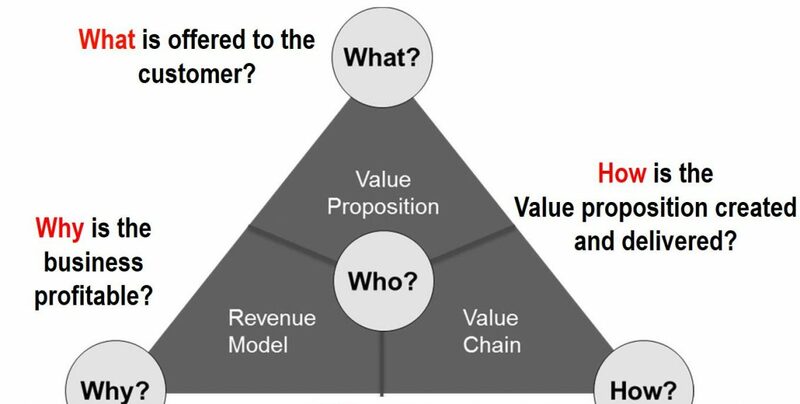 Hart (1992) An Integrative Framework for Strategy-Making Process. Academy of Management Review. 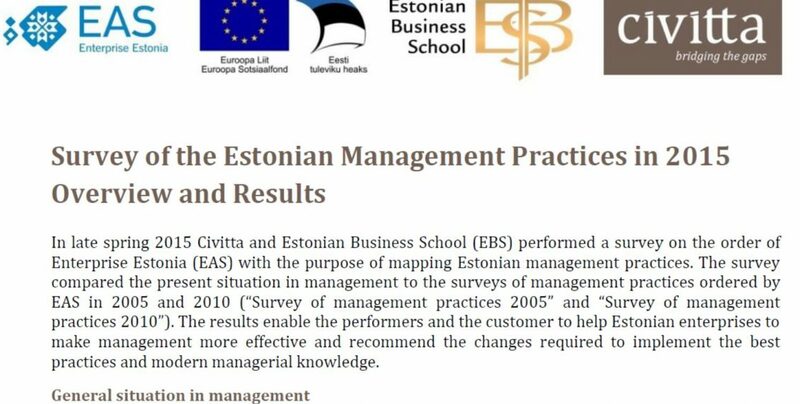 In late spring 2015 Civitta and Estonian Business School (EBS) performed a survey on the order of Enterprise Estonia (EAS) with the purpose of mapping Estonian management practices. The survey compared the present situation in management to the surveys of management practices ordered by EAS in 2005 and 2010 (“Survey of management practices 2005” and “Survey of management practices 2010”). The results enable the performers and the customer to help Estonian enterprises to make management more effective and recommend the changes required to implement the best practices and modern managerial knowledge. A questionnaire reveals that management practices in Estonian companies are still less advanced compared to Western enterprises. However, interviews and panel groups revealed that most managers are content with the present situation: companies have sufficient capital, the economic performance is stable and managers are very active outside their own companies. Since managers are content with the situation, they do not pay much attention to professional and managerial development. The results of the survey reveal that management practices in Estonian companies have remained in the comfort zone during the period of 2010 – 2015. Considering the constant development in Western European enterprises and the changing expectations by the millennium generation, it is time we should reformulate management practices. The above five types of managers use relatively different management practices and their diversity should be introduced on a wider scale in Estonia in order to demonstrate that there is no one and only way of management but feasible and appropriate management is largely dependent on the company’s situation and its surrounding environment. There has been a generation shift in the management of Estonian companies. Several owners who were top managers have decided to step aside from the managerial positions and have appointed professional managers to replace them. This also brings along the movement of former top managers to different roles. If the career of a manager was considered as linear before, in 2015 a considerable number of former top managers of corporations have taken up jobs as specialists, middle-level managers or started to manage the small businesses that they had established. Managers leave Estonia and move back to Estonia more actively than before. The return of managers with international experience to Estonia is one of the most important factors in the development of management practices in Estonian companies. In addition, the representatives of the Estonian branches of international companies bring new management practices. There are also some independent managers of Estonian companies who create and development practices. The importance of Estonian universities and consultation companies has become secondary in the development of management practices. Managers moving between the private sector and public sector are in minority and it seems to be a falling trend. However, the managers who have been in both roles reckon that there is similarity between different types of organisations. In addition, there seems to be an increasing discrepancy between the performance practices of business entities and public sector organisations. Most interviewees complained about the increased load of administration. Thus, managers of private companies are looking for opportunities to have fewer contacts with public administration. Gender balance is still an issue in managements. The managements of large Estonian companies are rather male-dominated. Although it depends on the particular sector, there are very few female managers, managers with international experience or young managers in traditional companies compared to Scandinavian countries. This sets limitations on the development of Estonian companies. As a comparison with the survey of 2010 we can maintain that involvement has decreased in the management of Estonian companies. Even though they claimed during the interviews that the spirit of the Opinion Festival had reached companies, the questionnaires show that the role of specialists, middle and junior managers has decreased remarkably in strategic planning. A remarkable fact is that internationalisation and export are still under very weak focus. The mentioned issues are two of the least important priorities for most companies – 2/3 of the companies that responded to the questionnaires said they had no plan to export or internationalise. The comparison with the survey of 2010 shows that these issues are even of lesser priority than 5 years ago. As a rule, Estonian companies are over-capitalised to be ready for a potential crisis. Companies have large cash reserves; managers are not considering investment options but are on the lookout for new business opportunities and growth opportunities in a more prudent way than in the past. Instead of looking for ways of expansion, company managers focus on their companies’ effective performance. The management systems of several companies have been refined to a high level. While formerly the managers of the Estonian branches of international companies learnt practices from the other branches of the company, today learning has become mutual – more and more representatives from other branches of the group come to learn from the practices of the Estonian units. The planning horizon is still short in companies belonging to Estonian owners. The most widespread management practice used is a one-year rolling budget that is renewed monthly or quarterly. However, determining the long-term vision of the company is gaining importance at a slow pace. 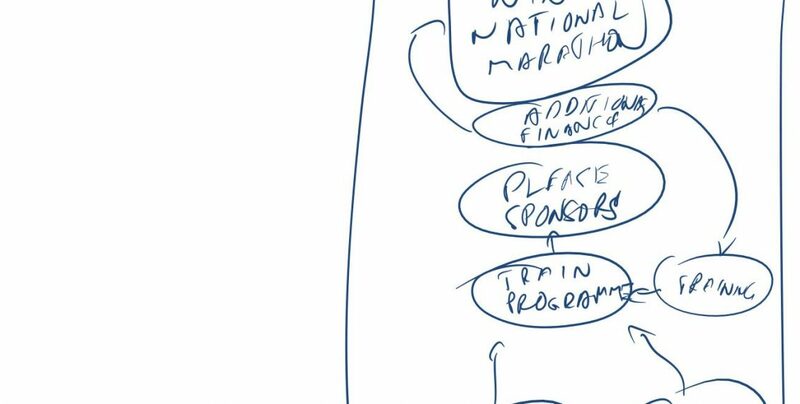 Also, the vision and values are being formulated in a more mature way and the long-term goal and principles of performance are being considered more carefully. 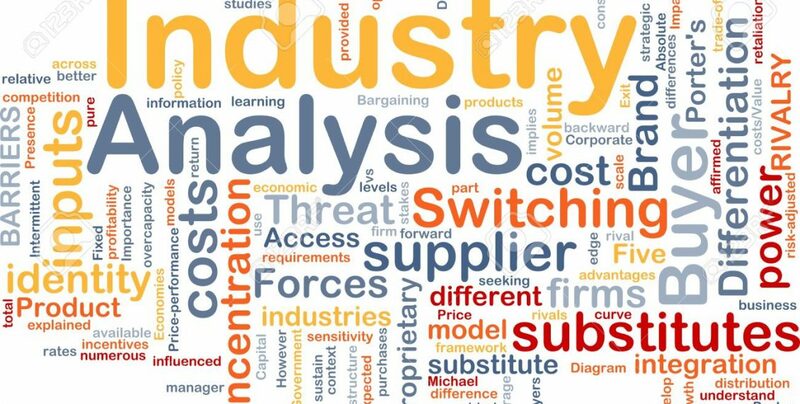 While in 2010 it was determined that restructuring business processes was the most widely used management tool at that time, in 2015 most respondents claimed that their companies lacked definite management tools that they would use. Some respondents stated that they had become satiated with bureaucratic systems. They stated that they had reached maturity in the systems in their organisations – they are using tools that are helpful but differently from the past, it is not done in the form of a campaign. Several respondents said that the soft topics of management had become important – the development of employees within an organisation and in-company mentors. A large number of respondents stated that employees’ willingness to cooperate had increased. Therefore, pairs of mentors have been created either between different departments of an organisation or outside the organisation where an external mentor or coach is involved for managers or top specialists. Low innovativeness is still a problem in Estonian companies. Differently from companies operating in the most advanced countries companies of Estonian origin invest relatively less in development. The format of using qualification training, executive training and consultations has changed. During the past five years Estonian companies have been increasingly participating in the international qualification training market, in fairs and conferences. Estonian corporations are the ones who have sent a number of their managers to study at top universities (INSEAD, LSE, LBS, IMD, IESE, St.Gallen). In addition, the programmes offered to managers by Estonian universities have gradually gained in popularity. Participation in the training programmes offered by Estonian training companies is not considered to be of importance. Managers are less and less interested in general and abstract topics of management in training and consultancy. They are interested in branch or company specific topics of management, which cannot be offered in the local market due to its small size. This also gives rise to an increased use of the company’s own employees in in-company training while they cannot afford foreign experts yet. Furthermore, there is a remarkable fall in the purchase and reading of management books in the Estonian language, which is the reason for a decrease in the number of authentic and translated books and their circulation figures. At the same time Estonian managers read more management literature in English and participation in managerial conferences for practitioners has been steadily increasing. Working relations are changing. 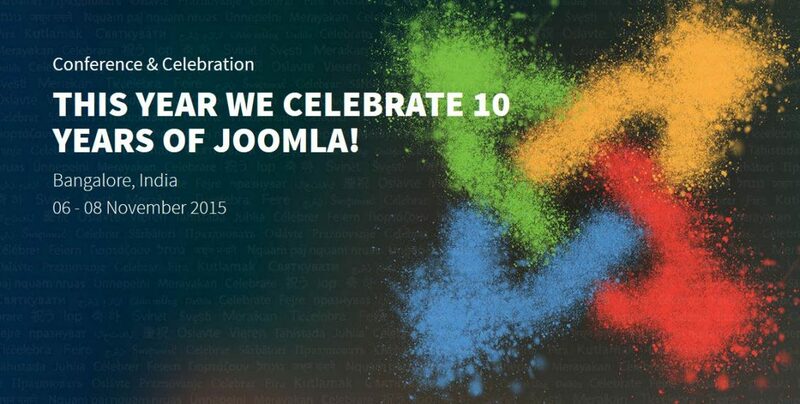 Employees value freedom and flexibility more than before and would also like to self-actualise outside the company. This explains why several middle managers and top specialists have their own companies (OÜ). The given trend is more popular with younger and more educated employees. In some companies such activities are subject to detailed regulation in order not to create competition. Other companies give their employees free hands. To some extent flexibility is limited due to managers’ attitudes, which presume that a subordinate should be visible and controllable. The above is proved by the fact that Estonian top managers attach more and more importance to leisure time, family, health and sports alongside their companies’ economic performance. Nevertheless, the data reveal that managers do not give the same flexibility to their subordinates. Compared to Finland flexible ways of working are little used in Estonia. While in Finland 91% of the companies are offering different flexible ways of working, 58% of our companies allow flexibility and only 20% of the companies have provided some of their employees with the opportunity of homeworking. Considering the growth of the millennium generation the scarcity of allowing flexible ways of working is a remarkable drawback in today’s management practices and managers’ ways of thinking. The results of the quantitative research show that almost half of the managers of Estonian companies consider employees’ empowerment as the most important function of internal communication, so that they would understand common goals and would be ready to contribute actively. However, the quantitative research shows that internal communication is most used for communicating work-related instructions. The given report has been ordered from the consortium that comprised Civitta and Estonian Business School (EBS) by Enterprise Estonia. After the corporate strategy tools we entered the field of industry analysis by first touching upon how much does industry determine the revenues, profitability and growth potential of your company or your investment and summed up with a brief introduction to Michael Porter’s generic strategies, 5F analysis and value chain analysis tools.